1. A microwave rice cooker that makes perfectly steamed rice every time, without the mess or hassle of using a pot or traditional rice cooker. Plus, you can pop the whole thing in the dishwasher! You can also use it to make steamed veggies! 2. A stainless steel bar that'll actually rid your hands of foul odors (even fish, garlic, and onions!). 3. Clip-on stands to keep your bags upright while pouring in leftovers for storage; you won't waste another morsel. They're *also* great for air drying bags you've washed out to reuse. 4. A stainless steel electric corkscrew that opens a bottle in seconds, seriously reducing the amount of time you have to wait before having a glass of wine. It comes with a cool charging stand that glows blue, and the opener will open up to 30 bottles on a single charge! 5. An air fryer with seven-built in programs for perfectly cooked fries, wings, and so much more with little or *no* oil. Get it from Amazon for $77.99. 6. 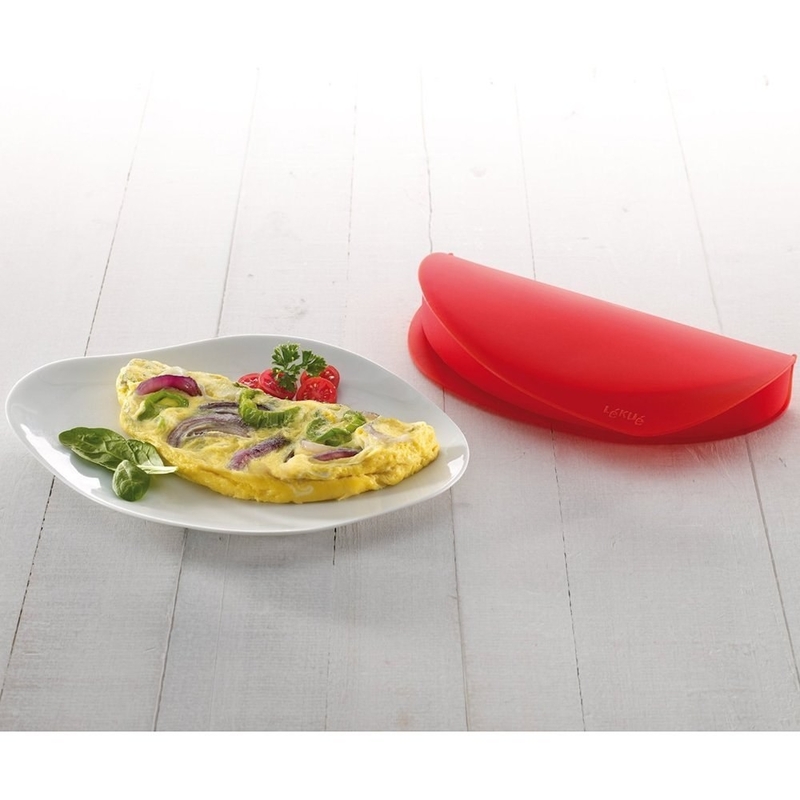 An omelet maker that delivers a delicious and healthy breakfast from the microwave to your plate in just minutes — and tastes like it was made on the stove! Get it from Amazon for $14.00. 7. A double-chambered chopper to blend or dice perfectly sized veggies TWO at a time with just the pull of a string. It comes with two whisking blades and two cutting blades for all your culinary needs. 8. A Instant Pot with seven functions, including (deep breath) pressure cooking, slow-cooking, making rice, sautéing, making yogurt, steaming food...and keeping your dinner warm. Get the six-quart size from Amazon for $99.95. Also available in five-quart and eight-quart sizes. 9. A pineapple corer perfect 🎶 if you like piña coladas 🎶... and not spending a fortune on pre-cut pineapple. 10. A two-level steamer that cooks fish, meat, and veggies healthily and deliciously — and is perfect for even people who cannot cook AT ALL. 11. 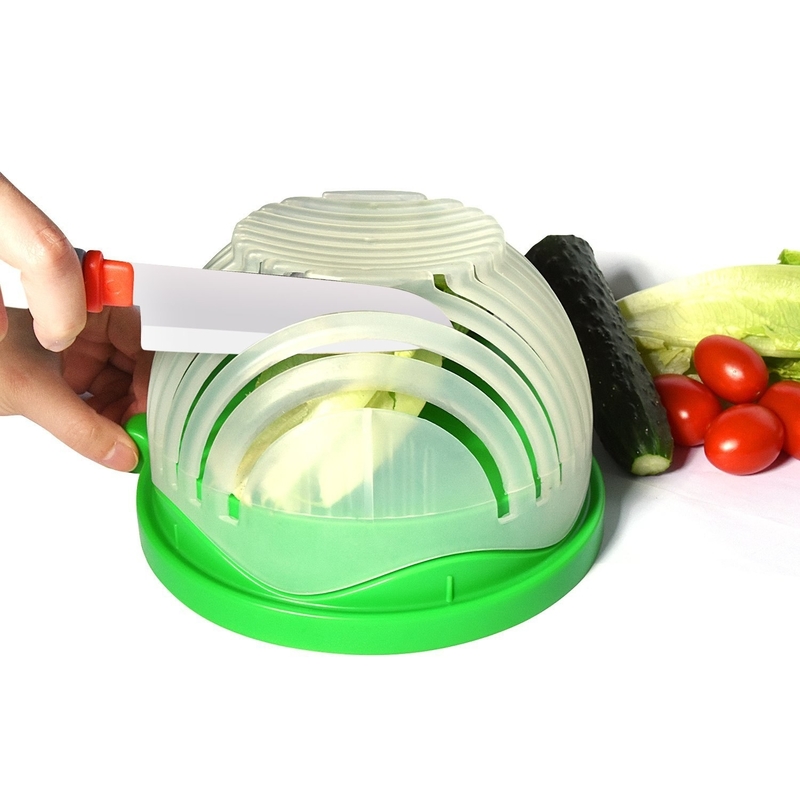 A slicer and storage container with five different blade types so you can grate, slice, julienne, peel, and chop for all your cheese and veggie needs. 12. A pair of claw shredders you'll want to get your ~paws~ on ASAP for all of your meat carving and pulling needs. Get them from Amazon for $12.95. Available in six colors. 13. Cheese storage paper that'll keep your favorite fromages fresh for far, far longer. Get a package of 15 large sheets from Amazon for $12.95. 14. 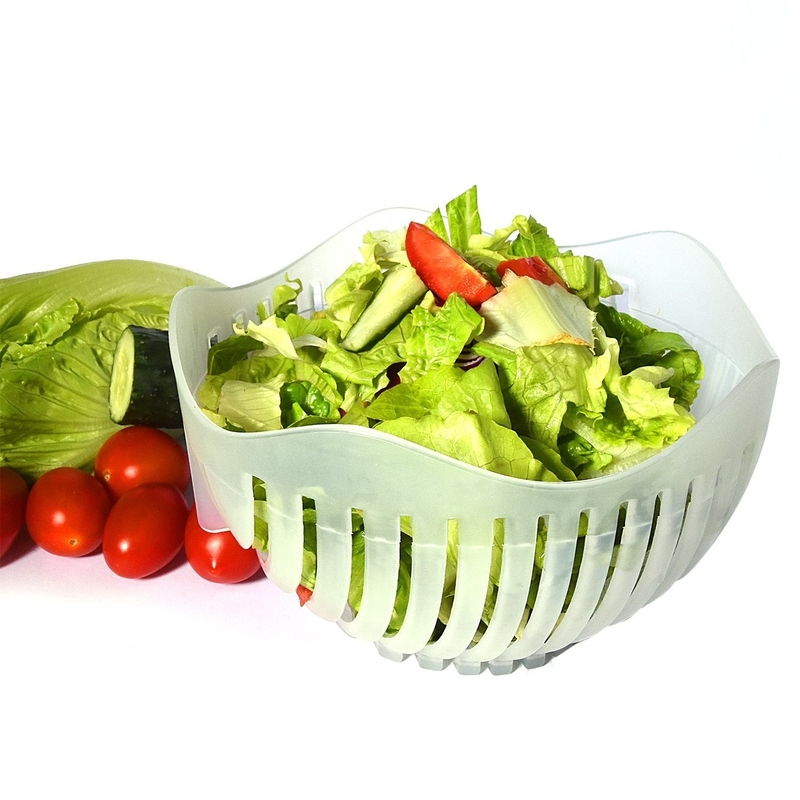 A chopping bowl guaranteed to change your salad game as you know it; just toss in your greens and veggies, run your knife through the slots, rinse, and you're good to go. 15. An herb saver for anyone who is tired of their cilantro, basil, and mint spoiling in the fridge before they can use them; this'll keep 'em fresh for up to two weeks longer! 16. An egg peeler that'll save your fingers, especially if you love deviled eggs or egg salad, or you just eat a hard-boiled egg on the daily. Get a set of two from Amazon for $10.95. 17. A Silpat silicone baking mat to make stuck-on food a thing of the past. Get a pack of two from Amazon for $22.62. 18. A Ninja blender that totally ~crushes it~ in literal seconds. Plus, it comes with two on-the-go cups you can blend right into! 19. An adjustable rolling pin with removable rings to let you roll out cookie dough or pie crust to an exact thickness in no time flat. 20. 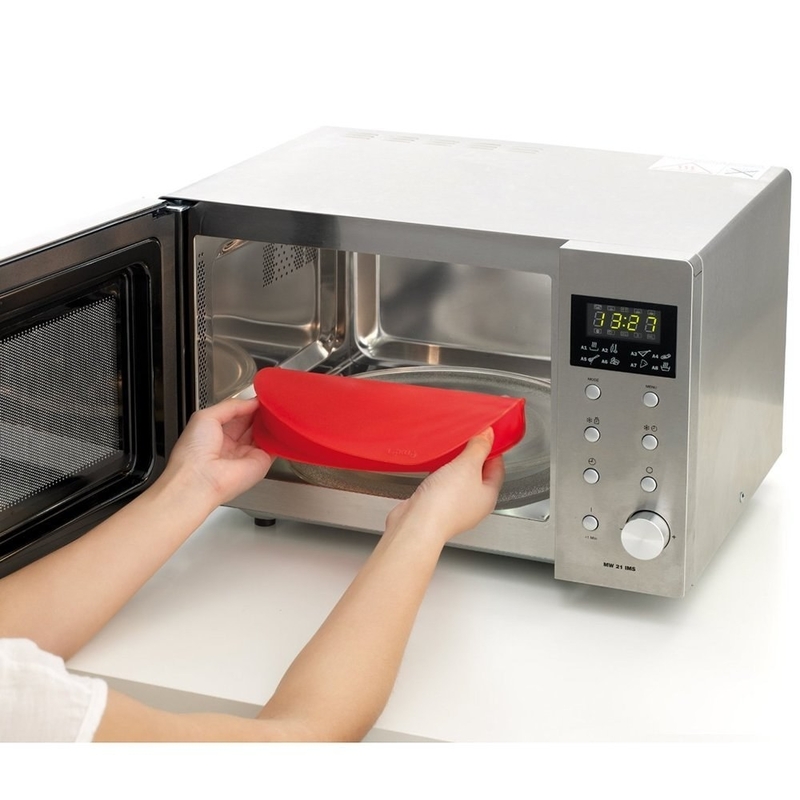 An air popper that'll finally cure your microwave popcorn addiction; you'll save time and money, and you'll skip the chemicals and preservatives that are in the microwave stuff. Get it from Amazon for $22.90+ (available in three colors). 21. An ice tray with a spill-proof lid so you can store the tray in the freezer sideways or at an angle. 22. A quad of silicone cups that ensure perfectly poached eggs with no hassle and no need for swirling water or vinegar. Promising review: "These are just the coolest things ever! I have tried several times in he past to make poached eggs, and never could get the hang of it. Earlier this year, I stayed in a hotel that had a beautiful tray of poached eggs on their buffet table every morning, and hey were so good. Now I can make beautiful poached eggs at home with these poacher cups...and it's fun and never makes a mess. The pot doesn't even get dirty because the cups float! Such a great idea, and definitely worth the price!" –Katie W.
23. A roasting oven with a self-basting lid for crispy-on-the-outside, moist-on-the-inside roast, chicken, turkey, and more. Get it from Amazon for $48.49. 24. 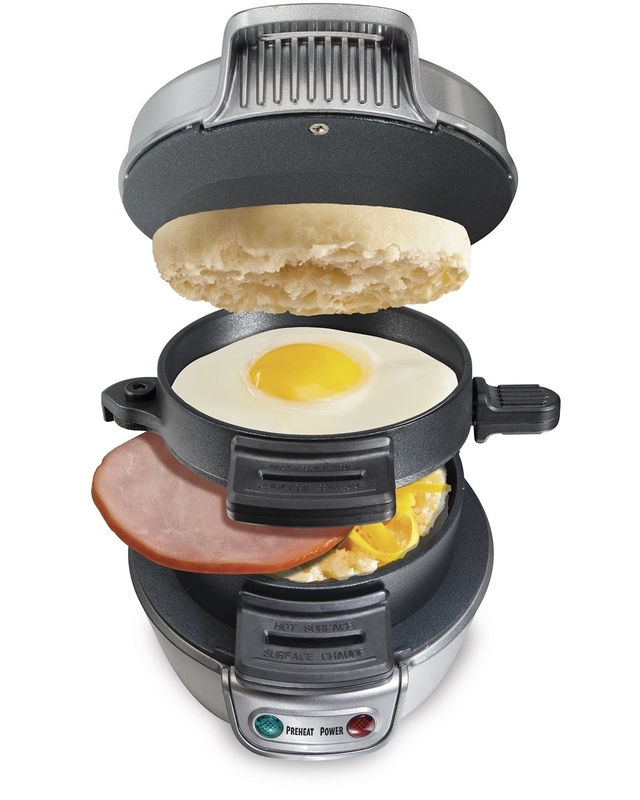 A rapid egg cooker you're sure to think is ~eggsquisite~; it can make hard-, medium-, or soft-boiled eggs, *plus* poached or scrambled eggs and omelets. Did I mention it's dishwasher safe, too? 25. 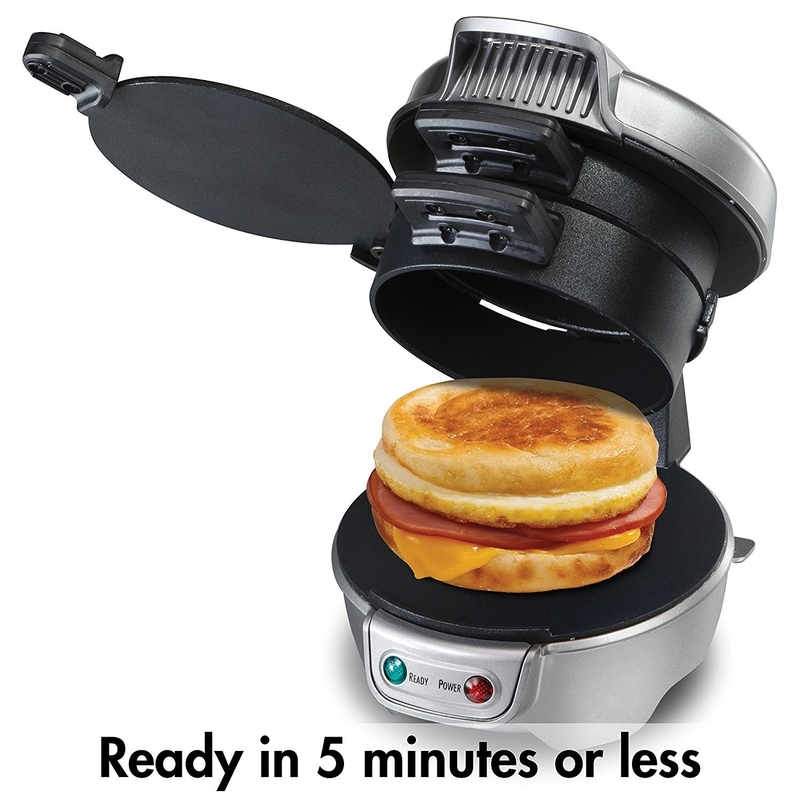 A cult-favorite breakfast sandwich maker that has 2,229 five-star reviews for a reason. Get it from Amazon for $22.74. 26. A corn stripper for anyone who ~literally cannot~ with cobs...or just wants to add delicious corn to salads and more! 27. And (of course) an avocado tool to add some of that green goodness to every meal and help you eat guacamole guaca-more.